We design structural repairs to dams as well as reconstruction and restoration of existing stream bank. Benton Dam needed emergency construction of retaining wall repairs as a result of the January 2010 flood. An area beneath the existing concrete retaining wall along Fishing Creek suffered extensive erosion and undermining. We repaired and reinforced the dam and retaining wall. The project required stream diversion and dewatering as well as soil erosion and sediment control measures. 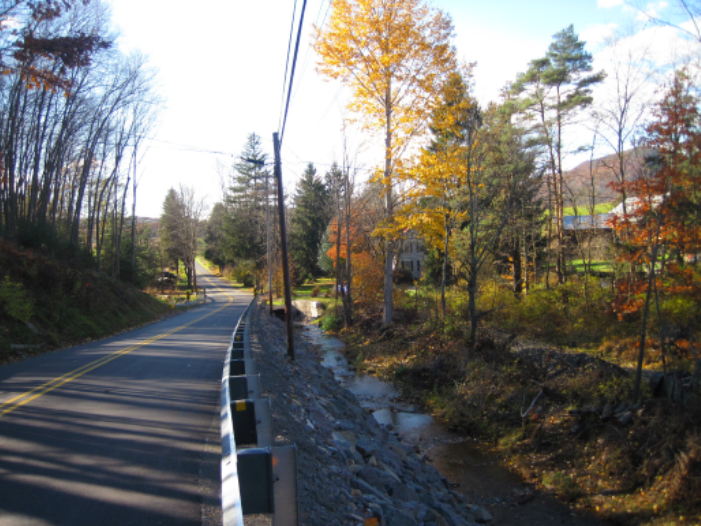 Upper Fairfield Township chose to bundle the construction of a culvert with roadway reconstruction of Kaiser Hollow Road. The stream bank was becoming increasingly unstable and was close to failure. Addition of rip rap stabilized the stream bank and controlled erosion. We desiged improvements to Beaver Lake Dam that should be constructed by Spring 2019. Improvements to the dam include capping the entire top and both the upstream and downstream faces of the dam, plus adding two weir gates in a new spillway.